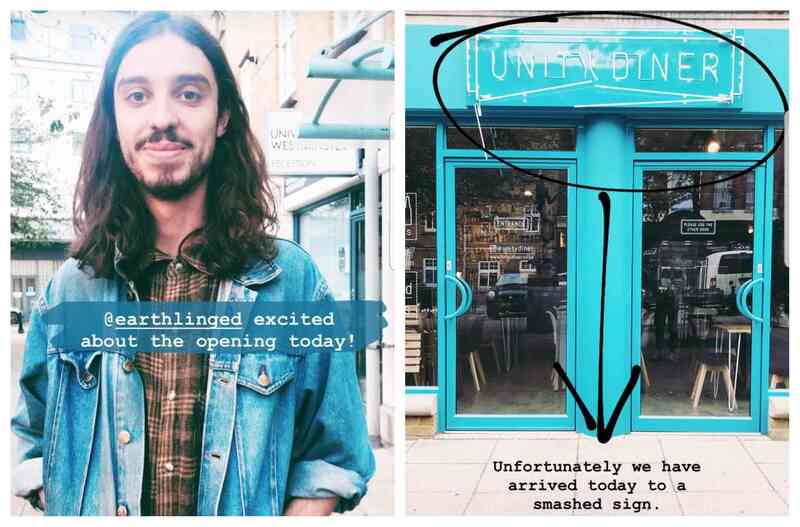 A vegan diner created by activist Earthing Ed and his team will open in Shoreditch in London today at 5pm. Unity diner is a non-profit outlet which will help raise money for grassroots animal rights movement SURGE, with money raised being used to pay for advocacy campaigns, including vegan posters across London. The eatery hosted its launch party last week, showcasing its menu of vegan burgers - including the Moving Mountains B12 Burger - as well as seitan chicken, fish bites and burgers, salads, and desserts. 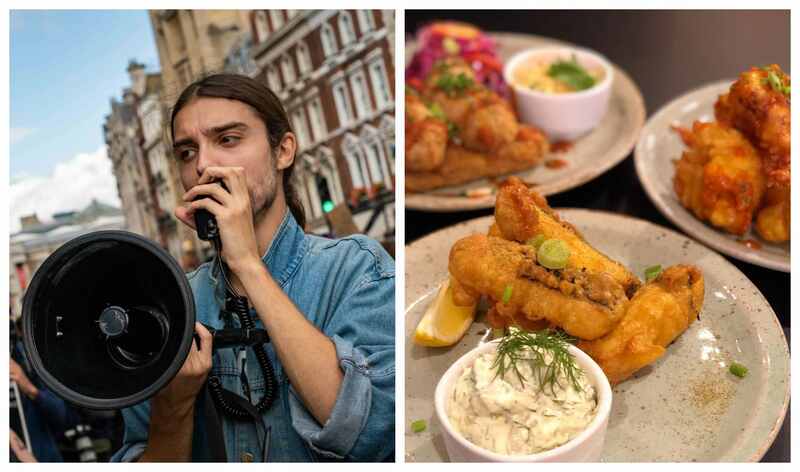 "My vision is for people to come into the diner, eat delicious vegan food and on their way home come across the advertising campaign that they’ve just funded through their meal," Ed told Plant Based News. The team revealed their feelings, taking to Instagram stories to write: "Earthing Ed [is] excited about the opening today." Sadly, they also arrived to find a small issue. Unfortunately, we have arrived to smashed sign. We'll try and get it repaired ASAP but sadly it will be broken for our opening today," they wrote.